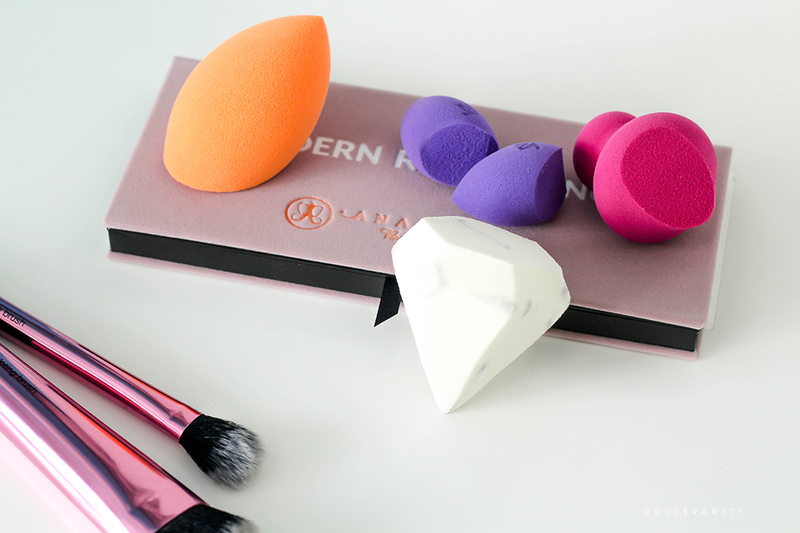 Since being introduced to the beauty blender some years ago, I’m all for sponges now. I’ve tried a few brands and Real Techniques this year released some new additions along with their leading sponge. It’s a really interesting looking sponge. 13 facets meaning you can get more out of the sponge. The designs of the swirls are different on each sponge; no two swirls are the same. Just like the complexion sponge, the pointed tip works on small imperfections, while larger sides apply makeup to larger areas quicker such as the forehead and cheeks. Smaller sides work around eyes, mouth and brow bone. The top works to buff and blend to make the foundation flawless. -_______It can be used wet for dewy application & dry for full coverage powders. -_______Recommended to be changed every 1 – 3 months. A sponge to help you contour and highlight!? It could possibly work. At times using a brush and not buffing out your lines as well can leave stark lines. This 6-sided sponge, with a very unique design uses the small sides for precision highlighting, making it good for that brow bone, nose tip, cupids bone and highpoints of the cheek. Large side for contour, temples, jawline and cheek. It’s not a large sponge so it makes working with it easier and should keep too much product on the sponge to a minimal. -_______Use it wet for dewy application & dry for full coverage. -_______Recommended to be changed every 1 - 3 months. Sponges to erase those mishaps, flaking mascara…! Always extremely handy because sometimes some sponges are just too large to target some areas. Now I’ve seen mini ones before but wasn’t captured too much by them but in hindsight, it’s not a bad idea. With the mini eraser, 3 different sides help to do 3 different things. I'm not very good at using makeup sponges but I do think I need to try and get better with them considering they have so many different uses. They have so many uses and handy to have, I use to love using mine damp but come winter. I've really got use to using it dry for a matte look. These look really interesting. I'm not very good at make up, but these sponges look like something I would really like to try. I'd say they're handy to use. As you can use them wet or dry and apply even BB cream or moisturiser with them. They do work for art work! It's true, I even use the wedge sponges for art work. Hey a sponge is a sponge lol. It is, it's great how they've got the various sides takes a bit of getting use too but nothing frightening. Oh no! I hate when that happens, should check your purchase history if it wasn't too long ago but these will be a treat. I use to hate makeup sponges because I felt like they sucked too much product into them but then I used the real techniques sponges and love them!!! However I couldn't change them every month that woukd be too costly! It does work out costly, I make sure to clean mine after every use so bacteria doesn't have much chance to breed. 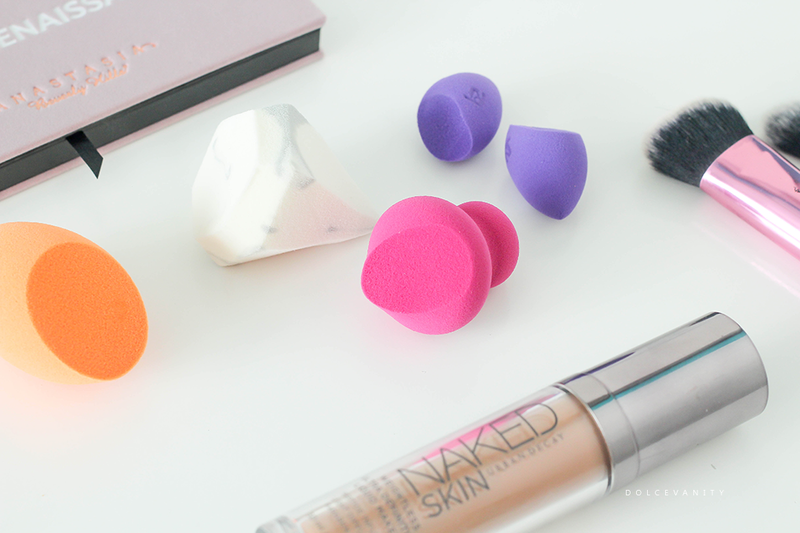 I've always been wary of beauty sponges, I was once told by a beauty expert that when using a sponge you are sponging as much off as you are adding, but I love the shaped ones, especially for mascara. It could work out that way cos I see what they're saying but I think it's down to technique. If you want a glowing look it's best to use damp to have it glow and have less product on the face. You're welcome. Yes they're handy to sweep away without smudges, I was quite impressed. I've been looking at sponges recently and the real technique ones look really good. There's a big variety that's for sure. Something for all. I've never used a sponge to apply foundation because I've never really understood how they work- this is such a great post. I have one of these sponges - yet I confess I haven't a clue how to use it haha!